Y-3 QUASA HIGH SNEAKERS | muted. Adidas and Yohji Yamamoto have gotten together with another great collaboration. The Y-3 Quasa High ($355) reinvents classic silhouettes with an innovative approach to materials and design. The first thing you notice about these triple-whites are the fat soles. 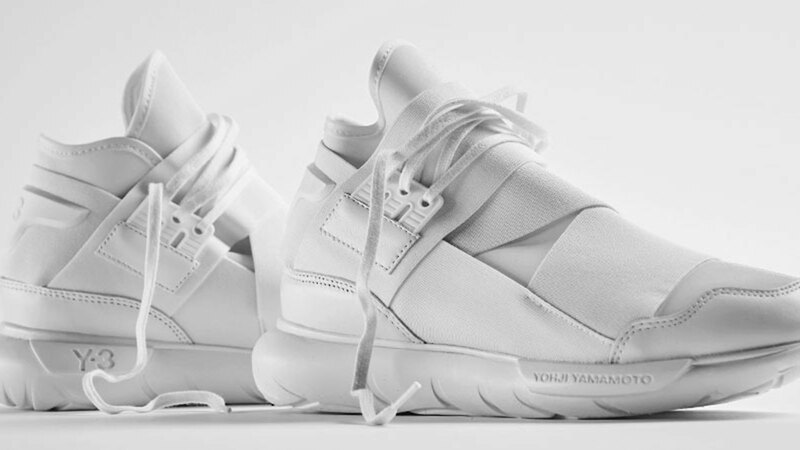 The built up rubber sole units stay with the all white theme and features the Yohji Yamamoto label on the front arch. The uppers are fully neoprene and completely tonal. From the laces to the straps everything is in stark white. Beautiful kicks for this coming spring.